Is this some kind of nightmare? No, it’s really happening. Our state is broke and they’re coming down hard on everyone, especially education to help make up much of the 2 billion dollar deficit. Our relationship with the state government is so bad that even our acting Commissioner of Education Rochelle Hendricks decided not to address teachers at last week’s NJEA convention, as has been tradition for years. 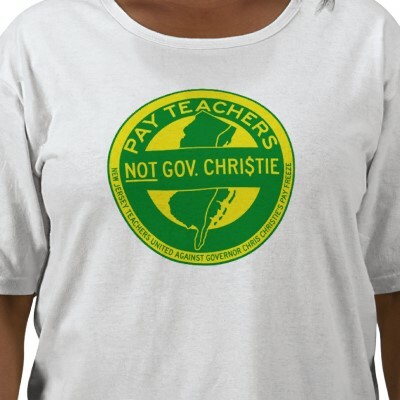 The war against NJ Govt. to schools and school libraries. Entire districts, like Woodbridge, lost their librarians. It’s estimated that hundreds of positions were lost. My little one school district lost its librarian too. Yes, as a result of the mid-March enormous state aid cuts, my Board was put in the position of cutting almost $500,000 and my position and program were included in those cuts (along with teachers, a secretary, all the lunch aides and part of our basic skills program). Note: I still have a job because in addition to my School Librarian certification, I also have an Elementary Teacher certificate. So, I’ve transitioned to the 2nd grade classroom of one of my colleagues who was let go. Our library program was strong and popular. Some of the current Board members had been active volunteers through the years. What will happen to these libraries? In my school, classroom teachers are responsible for taking their classes to the library and allowing students to pick books. Parents in my community are volunteering to come and help with book re-shelving. While I’m always grateful for parent volunteers, they cannot replace a certified librarian. It’s a disgrace. The students will lose out in so many ways. Pat Massey, past- President of NJASL, testified to Chairman Louis D. Greenwald and Members of the Assembly Budget Committee on March 25th, arguing that students need resource-rich school libraries that are staffed by state certified school librarians. The transcript can be found here. I am sad and mostly angry at what happened here. To put salt in the wound, I am now Vice President of the New Jersey Association of School Librarians (NJASL) and am not even be doing the job while serving my term! I’ll work to advocate for the recall of these positions, but according my administration, we’re in this situation for a minimum of 4 years. I just saw a posting from a library school student on the YALSA listserv looking for a place to do her practicum in northern New Jersey and she is struggling to find a program that is still afloat. What does this mean for our award-winning MLIS/MLS programs that are producing excellent school librarians? Working hard and advocating for our jobs is the most important thing we can do right now. Keep advocating. Don’t give up. Tell your towns that cutting school libraries (and public libraries) is not an option. Keep the faith that we’ll wake up and find out that this was all a bad dream.